Production has been suspended at a North Sea oil platform following a suspected gas leak, BBC Scotland has learned. 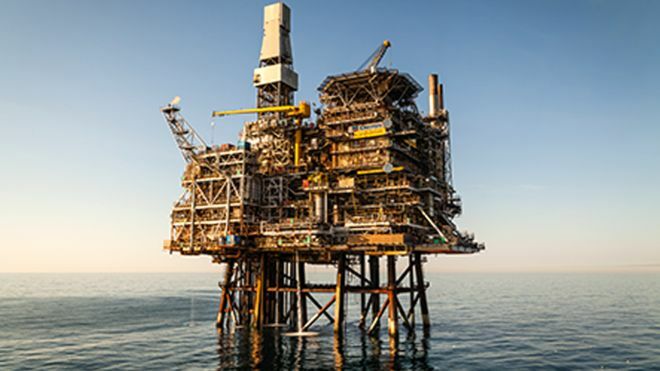 Chevron said the Alba Northern platform was shut at 17:50 on Saturday as “gas bubbles” were spotted in the water. It added that the Alba field, which lies about 130 miles from Aberdeen, was shut as a precaution and the field conditions were being monitored. All 124 people on the Alba Northern are safe and have remained on the platform. In a statement, a spokeswoman for the firm said the platform was shut when “gas bubbles from an unknown source were detected on the surface of the water in the vicinity of the platform”. A spokeswoman for the Maritime and Coastguard Agency said they were informed after an alarm sounded on the platform. She added that the people on the platform carried out their emergency drill. 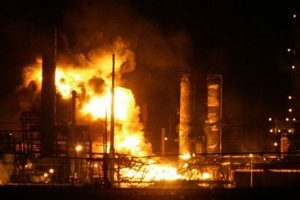 The Health and Safety Executive confirmed that they had also been informed of the incident and it was making initial inquiries.